resolve. We wish her a speedy recovery. guest vocalists. Updates to Come…. It is with great concern we announce the news that our singer China Forbes must take an extended leave of absence of at least one year to undergo surgery on her vocal cords. China had initially discovered the injury to her voice earlier this year, and it was hoped that extreme vocal rest would heal her. But after careful consultation and on the advice from multiple specialists, she has made the difficult decision to move forward with surgery. 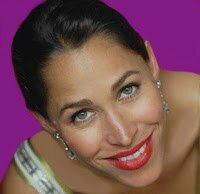 The heartfelt wishes and support of the entire Pink Martini family are with her as she undergoes surgery and recovery. Though it is difficult to predict exactly what the future will hold and how quickly she will be able to recover, we very much hope to welcome China back to the stage with Pink Martini as soon as her health permits, and we anticipate many more fruitful collaborations in the years to come. Pink Martini will continue to tour and record music throughout China’s absence from the stage. We look forward to presenting our amazingly supportive and loyal fans many exciting collaborations with guest and interim vocalists over the next several months.